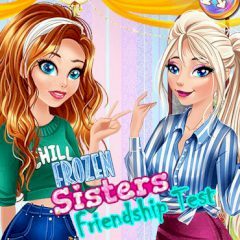 Elsa and Anna are going to test their friendship. Dressing up is the best way to challenge this! Frozen sisters should spend more time with each other and do what they love both. Let's dress them up and see how strong is their love!